You are here: Home / Emerging trends & STEM / Summer of Link Love: Reprint Rights, Yours for the Asking! Basically, we’re inviting any and all readers to feel free to “scrape” what you wish from our site providing you let me know in advance (so it doesn’t end up on an inappropriate site) so that all of this heavy duty research doesn’t remain percolating like popcorn in the brains of the usual suspects. 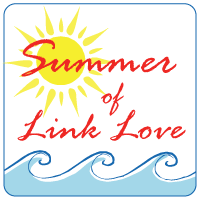 Feel free to add the Summer of Link Love badge (lovingly created by TGR’s hubby) to signal you’re participating in this game plan too, so we can follow the same guidelines and ‘content swap’ with you if it’s appropo, too! It’s a great opportunity to submit from YOUR archives or write about hot buttons I may not have covered on ANY topic pertaining to media/marketing’s impact on kids too…Sound off! It’s also a handy summer slacker way of attempting to shake loose some free time to be ‘shaping youth’ of my own, and float a life ring for myself to avoid ‘founder flameout’ while exposing our content to other sites. So…Eco Child’s Play? BlogHer? HuffPo? PEM? Individuals? Change agents? Youth advocates? Whoever wants it…take it! Just let me know where it’s landing, so I know it’s in a good home. How does this idea differ from the usual open source Creative Commons attribution/byline/bio bit? Well, for the summer, you can publish a Shaping Youth post in its entirety as ‘guest editorial’ for starters…Normally we only have that arrangement with our board approved Correspondents, like Dr. Robyn Silverman or RD Rebecca Scritchfield, or Dr. Sara Grimes at Gamine Expedition, etc., so I’ll ask that you only pull MY words, not theirs, unless you’ve got their permission directly. OH! And fergoshsakes, if you’re a ‘for profit’ venture, and make money on your posts, toss some coins in the coffer and have some ethics, eh? Alas, they’re right. And that’s what Boards are for, n’est ce pas? Sooooo…yes, I’m still posting regularly this summer, but hoping to ‘skip a day’ here and there. Too late, Jake, the momentum is “far from zero”…It kicked in like rocket fuel, and fired me up a bit TOO much…so now it’s time to refine and revisit strategic goals, shore up the partnerships and funding flanks and recruit some youthful interns ready to advise in the fall, so we can REALLY leverage our momentum. So… Are you ready to join the Summer of Link Love and float around the stream making new friends and fans? 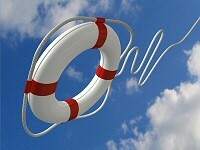 My rubber ducky inner-tube is blown up and ready to make waves. Is yours?